2 The Haier Wine Cooler Difference! 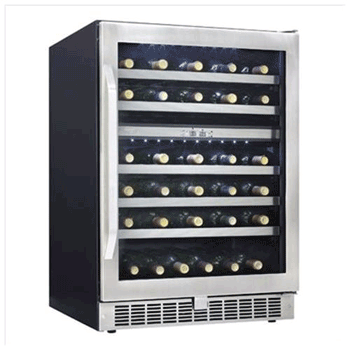 3 Why Would You Choose a Haier Wine Cooler? For wine enthusiasts of all types looking for the perfect wine cooler to keep their collection chilled, the wine cooler market presents a lot of different options. With the growing popularity of the wine enthusiast’s lifestyle, the growing number of options can be somewhat overwhelming. There is a lot to consider when comparing wine coolers with the view of making your final purchase, not least of which is the budget you have to work with. 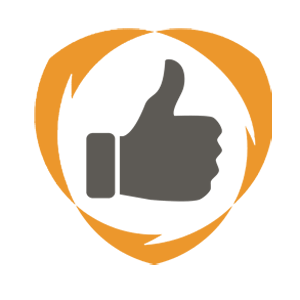 Today our focus shifts to one specific manufacturer, as we work through a selection of Haier wine cooler reviews to give you more structured information on some of the affordable yet effective options available. Beginner wine collectors and enthusiasts can really get their wine-appreciation capers going in a controlled fashion with this elegantly designed 6-bottle cooler from Haier. Featuring a nice-looking blue LCD display and an adjustable thermostat, six of your bottles waiting to be enjoyed in the near future will be kept perfectly chilled; particularly if you’re into white and sparkling wines. This unit is lockable so your precious cargo is kept safe and it features an insulated, double-pane, curved glass door which acts as a window to a beautiful display of a few of your favorites. This is perhaps a beginner wine lover’s cooler in every sense of the phrase. While the manufacturers and resellers tout it to be great for both red and white wines, its true temperature range in full practice (45-55 F) suggests that it’s better suited to chill white and sparkling wines. A solid, compact unit nonetheless which is ultra quiet. It’s efficient and keeps the set temperature quite stably. Read more about this Haier model. Any 15″ wide wine cooler was primarily built to make for the ideal replacement to fill the space left by a redundant trash compactor. That is exactly what this wine cellar/cooler from Haier does. Its stainless-steel-with-black cabinet door adds elegance to any space you’d typically put your wine cooler in and this particular unit is built for both free-standing usage or as a built-in cooler. Temperature settings are adjustable for ideal storage and chilling of your reds and your whites, tweaked via an electronic control unit and monitored with an LED display. 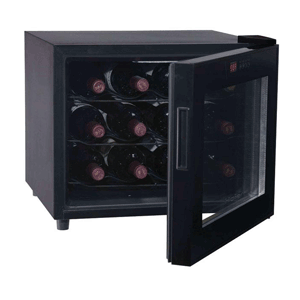 This Haier wine cooler will easily keep 26 of your bottles chilled properly, ready and waiting for you to enjoy anytime. It works well to maintain its lowest setting of about 43 degrees and its classy look and feel makes it a great replacement for an old trash compactor. This unit’s price is probably its most outstanding feature, given its comparison with other wine coolers in the same price bracket. The Haier Wine Cooler Difference! 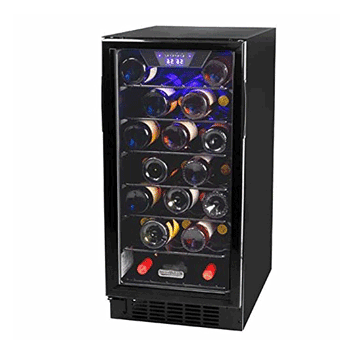 Perhaps the most outstanding feature of wine coolers bearing the Haier name is the fact that they are available at comparatively lower prices than those from other manufacturers. This means that what was once a somewhat pretentiously “exclusive” club of wine-loving enthusiasts and collectors is now becoming more and more open to budding and beginner wine enthusiasts. So too wine collectors who are just finding their feet but don’t quite have loads of money to spend on the various dynamics of their growing wine lifestyle. 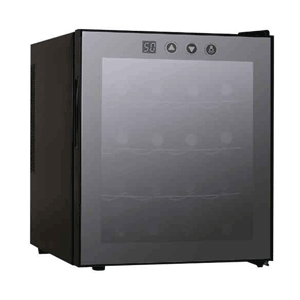 Beyond the generally affordable pricing synonymous with Haier wine coolers, you obviously still want a cooler which gets the job of preserving the quality of your wines done. You want to store them at their optimal storage temperatures and chill them to perfection when the time inevitably comes for you to decant your favorite bottle for the occasion. Available in a range of different sizes (from as portable as 4-bottle capacity right up to 50-bottle capacity models), Haier wine coolers ideally fit the needs of all types of wine enthusiasts. Naturally, the smaller models such as those built for counter-top and portable freestanding use make use of the thermoelectric cooling system and are generally more silent than their bigger compression-cooled counterparts. The bigger compression-cooled units are generally made for built-in use, focusing more on quick cooling than silent operation. Haier wine coolers in general also have very modern designs, mostly dominated by silver or black color schemes that effortlessly blend in with contemporary, ultra-modern interiors. 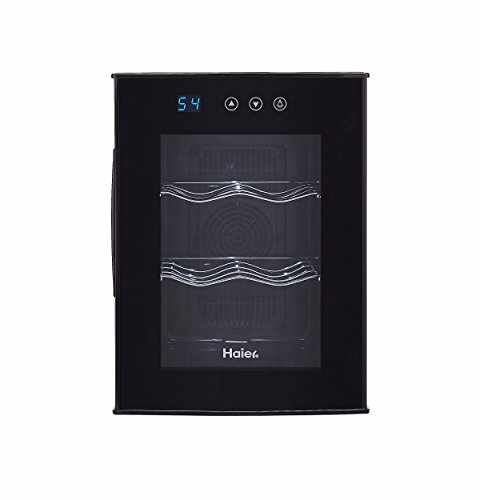 Most Haier wine cooler models also feature an electronically operated thermostat which allows for easy wine temperature monitoring and adjustment. While most Haier coolers have only a single temperature zone, this attests to their specialized design in that they are mostly built for specialist wine collectors who pride themselves in one specific type of wine. Why Would You Choose a Haier Wine Cooler? Haier’s extended market share, however, this only makes for a positive development for discerning, detail-conscious wine connoisseurs because what the popularity of Haier wine coolers means is that you can get a lot more than what you bargained for out of one unit. 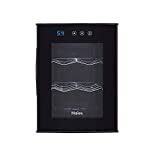 In the specific case of Haier’s wine coolers, one often finds that they are pleasantly surprised by how many additional features they get on top of the range of features they were originally after in a specific wine cooler. A good example of this is the wine coolers’ extensibility; some of the more experienced wine enthusiasts with a well-developed and refined wine palate will tell you of how certain wines go well with cheese. This is where the extensibility of a typical Haier wine cooler comes into play. With the right Haier wine cooler, you can store your wine-complementing cheese right alongside your wine, in the same wine cooler! Haier wine coolers serve to prove that a good, practical and efficient wine cooler (with extensive capabilities) does not need to break the bank. Ample resources are left for your investment in your growing wine collection. 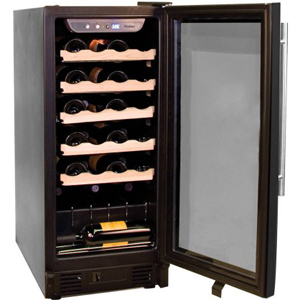 Above all else, Haier wine coolers in their many varieties are always great for starter wine enthusiasts who seek to dive right into their love for wine and grow their burgeoning collection. For the more experienced wine enthusiasts and seasoned collectors, Haier’s range of wine coolers offers a plethora of units to choose from which always manage to go the extra mile and transcend the required capabilities. If there’s one major pointer to take away from our Haier wine cooler reviews it’s that keeping your wines chilled for ready accessibility and even storing some of them for your growing collection doesn’t have to cost an arm and a leg.